Gerbera Catwalk is a pretty Orange / Yellow cut flower. It is approx. 45cm and wholesaled in Batches of 50 stems. Gerbera were named after the German naturalist Traugtt Gerber and are a genus of the sunflower family. 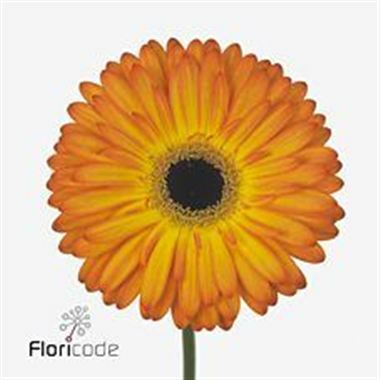 Gerbera is also known as the Transvaal Daisy or Barberton Daisy. All gerbera have a central capitulum, which is composed of hundreds of individual flowers, surrounded by numerous florets creating the shape of a daisy.